One obstacle to preparing a meal at home for a special occasion or date night is finding what I can make without spending all day in the kitchen. I just do not have time for that beyond holidays! Doctoring up a boxed mix of Long Grain & Wild Rice was my newest test in the kitchen. 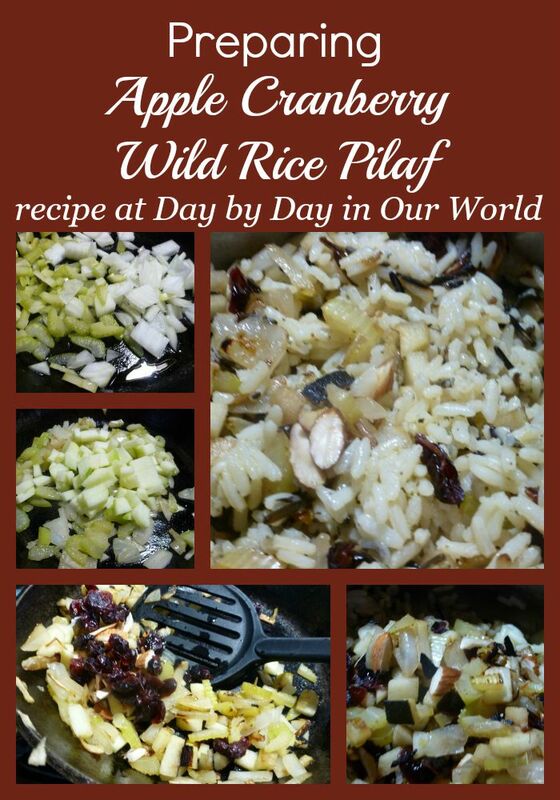 I think I found a winner with this Apple Cranberry Wild Rice Pilaf. Visiting the local store, I saw there were plenty of wild rice blends. I elected to buy the one with an herb & butter seasoning already provided. That meant I just needed to chop up a few ingredients, saute them, and then toss everything before serving. Of course, you can always make this dish from scratch. It just means extra time to cook the wild rice (45 minutes) before making the rest of it. And, then there’s playing with the right proportions of herbs to get the seasoning just right. After about 5 minutes, add the diced apple to the pan stirring frequently to cook until softened. Add the dried cranberries and almonds, continuing to cook for another minute to heat. Toss everything together and serve! For now, I’m happy to get a special meal on the table quickly so I can have more quality time with my husband. What ‘hacks’ do you have for doctoring up a boxed item like this one? Great idea. I'd take it a step further and use a sachet of ready cooked rice. What a tasty jazz up of boxed rice! 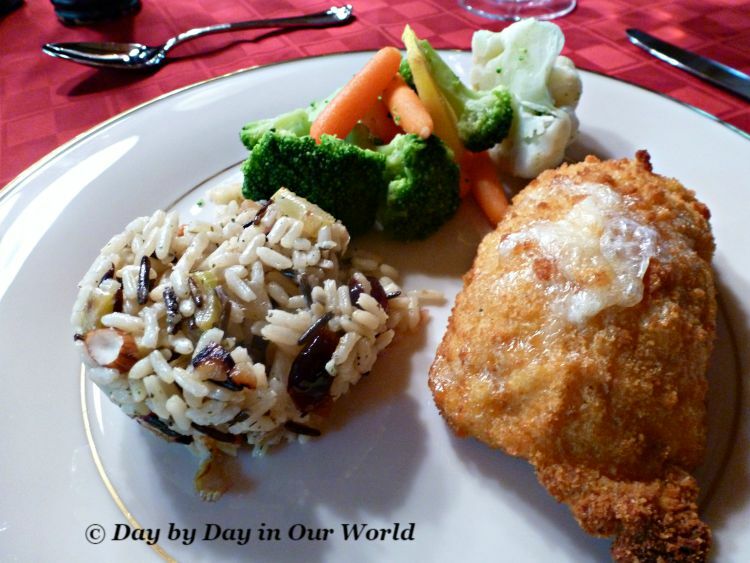 Great use for using rice - I always feel so virtuous after eating wild rice! I like that you took boxed rice and added cranberries and almonds to give is a great taste and this would be so good for a side dish for the Holidays. Thanks for sharing. This sounds so good. 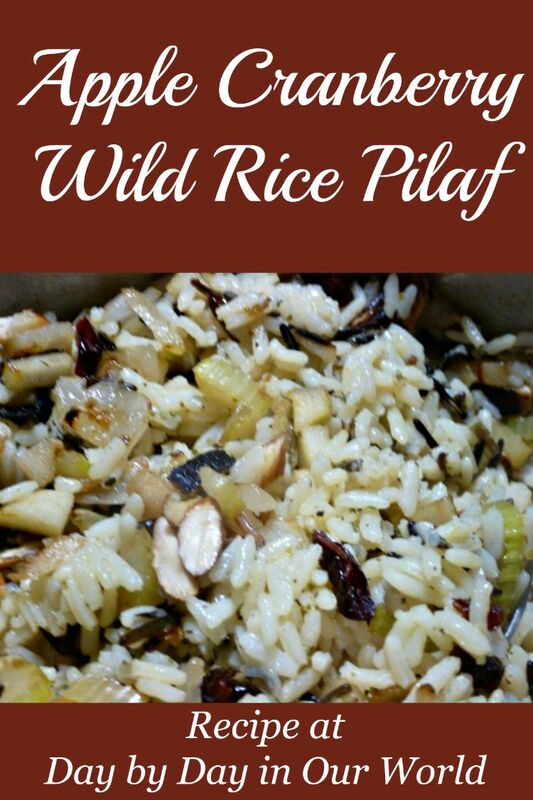 I love pilaf but never thought I could bring it to life by adding cranberries. Thanks for sharing, I'm adding it to my next to try recipes. What a wonderful recipe. and I'm excited to make it! It is a perfect dish for fall!